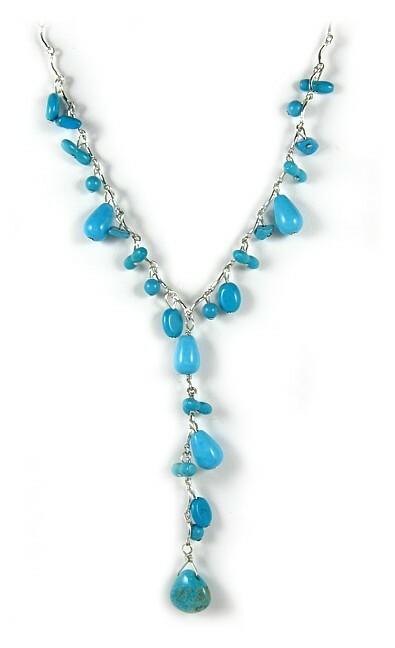 Created and hand made by Navajo Indian craftsmen in New Mexico, this beautifully smooth turquoise necklace contains 26 genuine turquoise nuggets. Each one painstakingly hand-cut and polished to perfection and added to sterling silver bridal chain. Length 41" (16") front drop 7.5cm (3").